HOUSTON: Two prominent Indian-American doctors facing deportation as their travel documents had expired have been given a rare last minute-reprieve by the US administration that granted them a 90-day extension on humanitarian grounds. 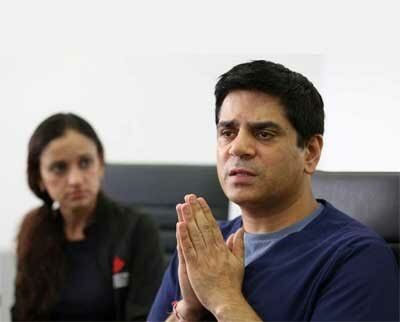 Dr Pankaj Satija and his wife Dr Monika Ummat, both neurologists, have been working legally in the US for 15 years. They have a 7-year-old son and 4-year-old daughter. The problem started when they visited India to see Pankaj’s sick father in October last year. On their return they were stopped at the Bush International airport by Customs and Border Protection officials because their travel documents had expired, the Houston Chronicle reported. The Customs and Border Protection officials stamped their travel document saying that it would expire in June this year, when in fact the US Citizenship and Immigration Services noted that their document actually expired in June, 2016. Upon returning to the US about a week later, a Customs and Border Protection official at the airport noted the discrepancy. The officials, however, allowed them to enter temporarily to correct the error. On Wednesday, Pankaj and his wife were abruptly told by immigration officials that they had 24 hours to leave the US. They were told that under a new policy, they could no longer extend their temporary permission to stay while they waited for permanent authorisation, local media reported. However, as they were about to board a plane for India, they were granted a 90-day extension on humanitarian grounds. The couple had called on their legislators and had taken the media along with their attorneys to plead their case. They must have done it deliberately . Their travel documents had expired in June, 2016 and no one noticed it when they took the flight from India to U.S.A. in Oct, 2016 or later. The picture accompanying the write up shows the doctor with folded hands. I am not aware of the circumstances under which the photograph was taken but portrays a rather negative image.